Those that have already registered should contact Jen Brown at Jennifer.brown@paxpartnership.org, to confirm their attendance. TPP will refund the registration fee for anyone who has already registered and paid, and cannot attend on the new date. Anyone with questions is encouraged to reach TPP by email or phone at 301-866-1739. Dr. Ekstrom is a deputy oceanographer and navigator of the US Navy. He will address issues and approaches to providing positioning, navigation, and timing solutions in a GPS-denied environment at the one-day conference. For today’s warfighter in the field, GPS is vital to mission success because it provides critical PNT information. But what happens when a GPS signal is unavailable? What are alternative solutions to obtaining PNT data? 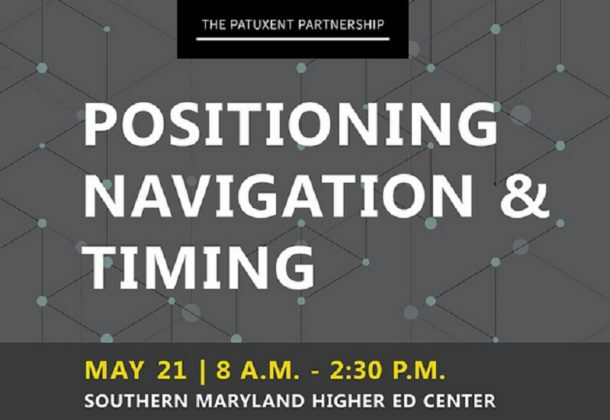 Convening leaders, decision-makers, and subject-matter experts from government, industry, and academia, the conference will be held from 8 am to 2:30 pm at the Southern Maryland Higher Education Center. Topics include PNT and the warfighter, positioning and navigation technology, timing, and communication technology. Registration is open online; walk-in registrations will be accepted as space is available. Cost to attend is $50 for TPP members or $90 for the general public. Federal civilian service employees and active duty military may attend at no cost. Register here. Dr. Ekstrom serves as the technical director to the oceanographer of the Navy. In previous assignments, he led the planning and programming activities across all areas of precise time generation and dissemination as well as astrometric products that support missions across the Department of Defense. He also led the development of advanced atomic clocks for the Department of Defense Master Clock. The resulting clocks, called rubidium atomic fountains, are the most stable continuously operating clocks in the world. He holds a doctorate in experimental atomic physics from MIT and has received the Navy Meritorious Civilian Service Award, the AFCEA International and US Naval Institute Copernicus Award, and the US Naval Observatory Simon Newcomb Award.